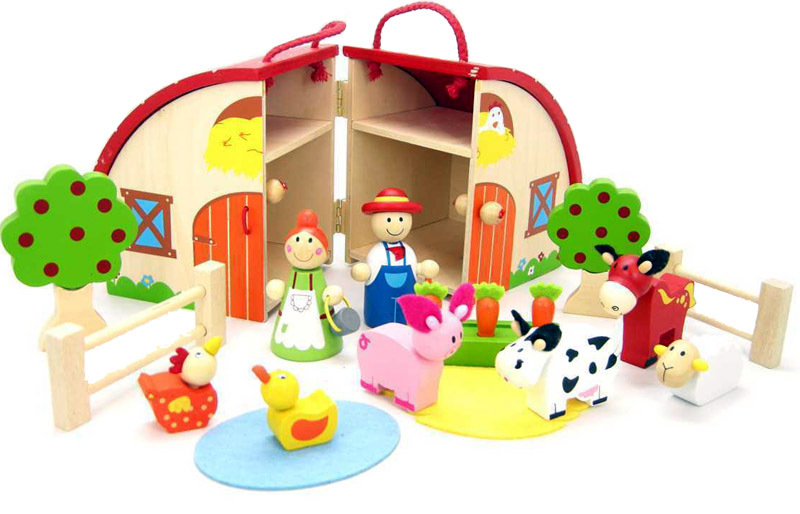 The farm set consists of a nice strong house which is also an opening carry case complete with rounded red roof, Mr and Mrs Farmer, a pig, cow, horse, duck and sheep. There is a wheel barrow and a line of carrots complete with green felt tops. The attention to detail on this set is very good and the animals have lovely little felt ears. There are also two apple trees, two felt pieces, one for sand the other water and two fences just to finish everything off. We like this because: "Beautifully made and finished."